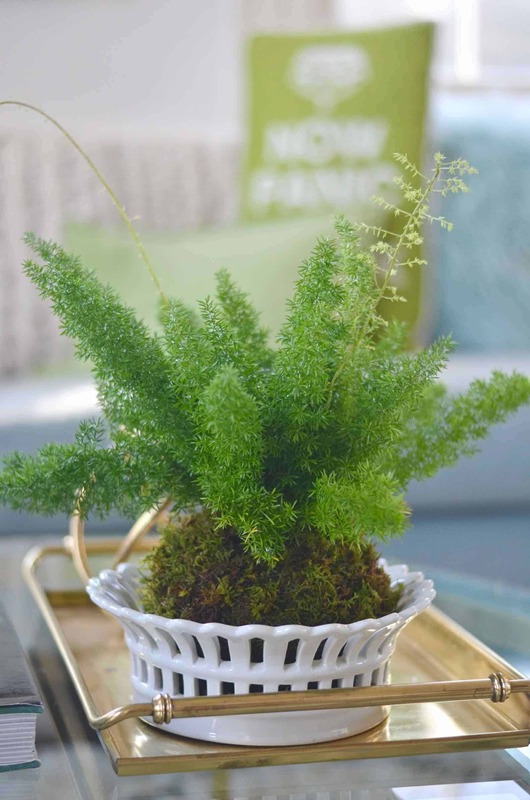 You may have seen these popping up here and there, and I LOVE them: Kokedama moss balls. 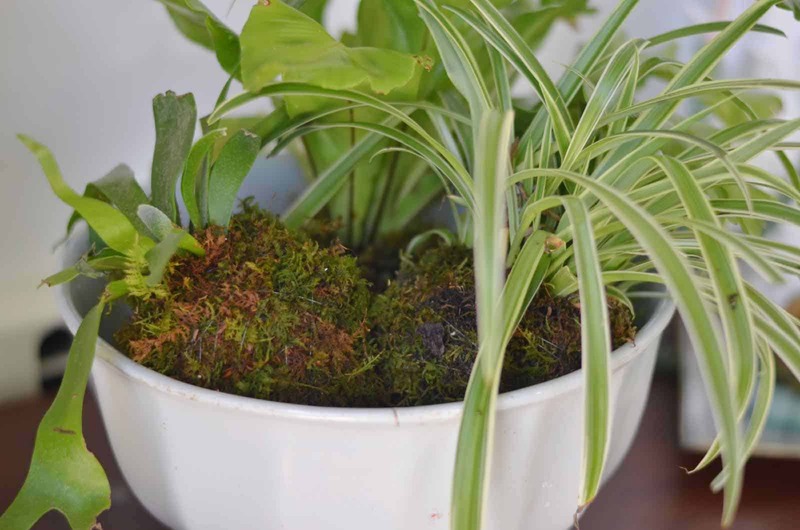 Kokedama are a form of bonsai and, turns out, they’re mad easy to make! I’m cutting a few corners, but so far… so good- they’re all going strong! 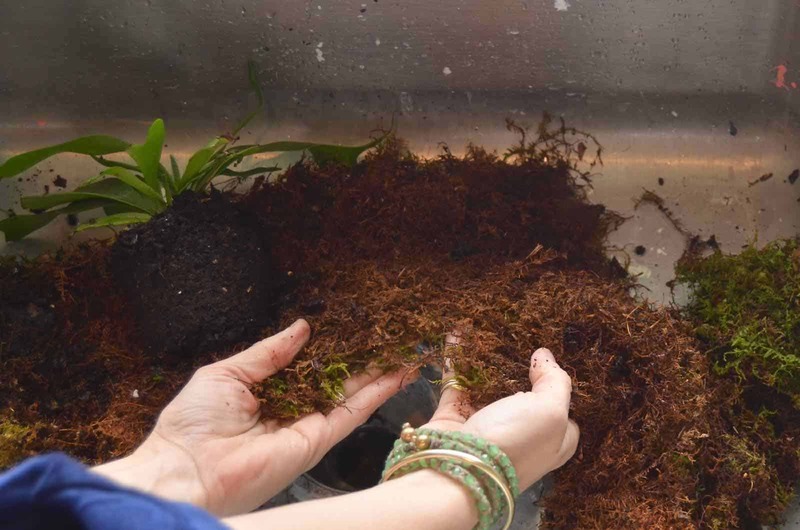 I’m on a video ROLL, you guys… Subscribe to my YouTube channel to see them all… here’s my tutorial on these cute moss balls, but all the steps are included below as well! 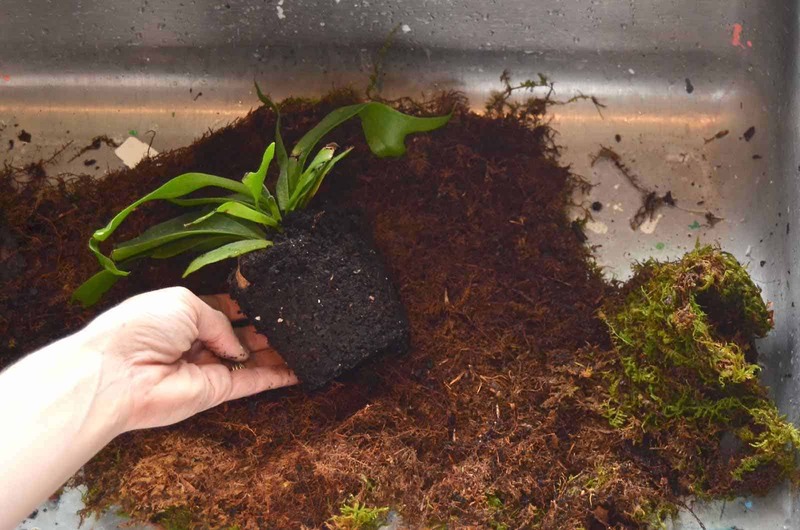 Remove the plant from it’s pot and lay on top of sheet moss. 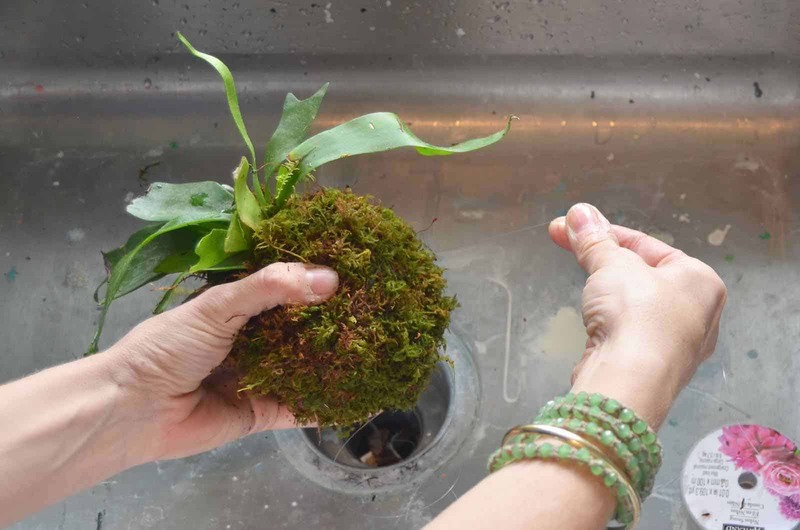 Make sure you have enough moss to thoroughly wrap around the root ball and rip away any excess. 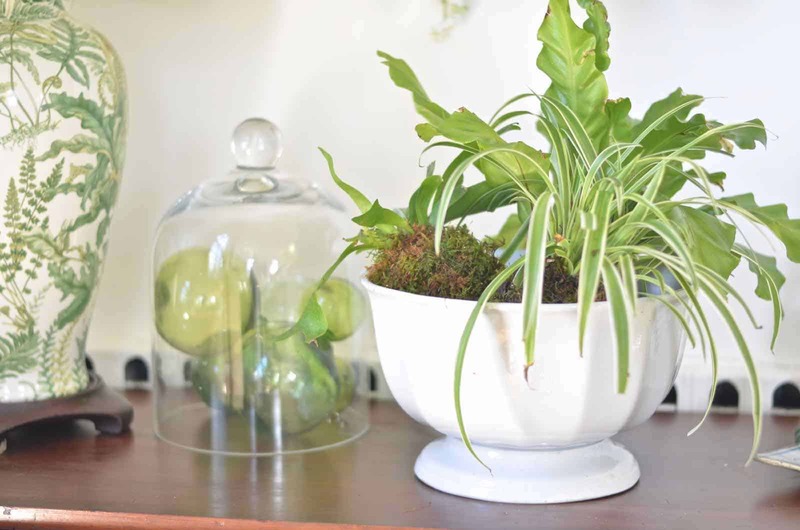 With one strand of nylon string, give your ball a belt to hold the moss in place. 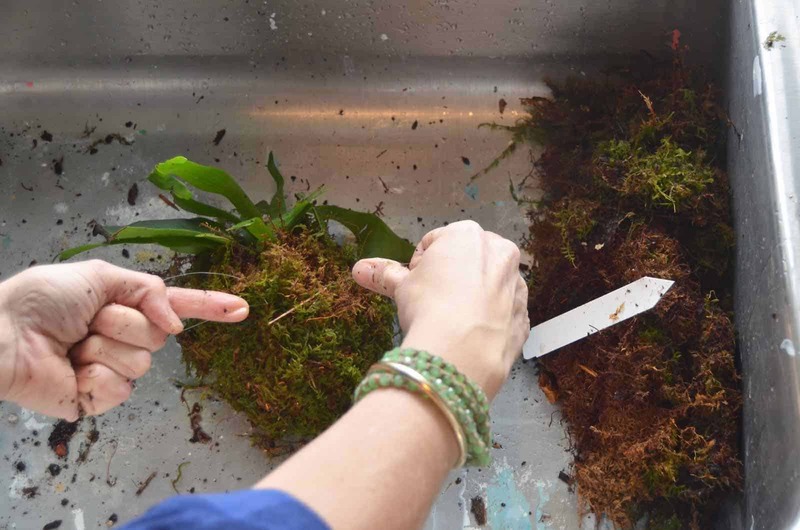 Now that the moss is secure, go around and around the root ball with your nylon thread until the moss is completely secure and the shape of the root ball is round. 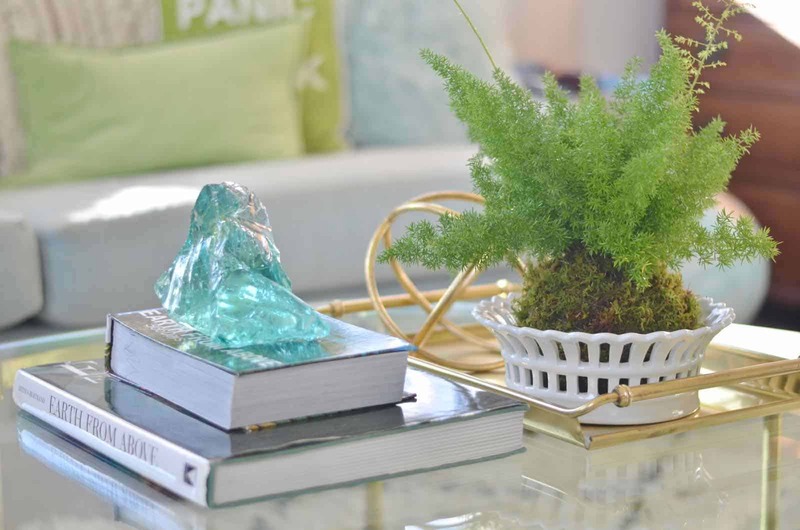 Squeeze and mold the plant as needed to make it nice and round. 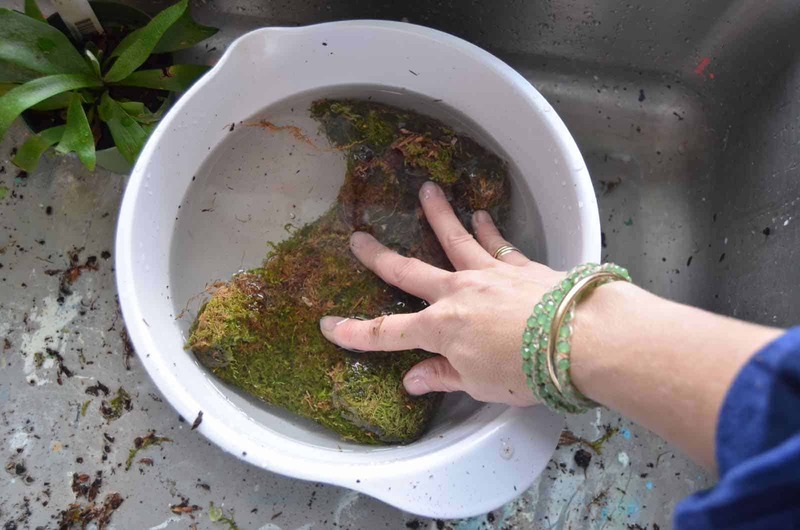 The nylon disappears into the moss so there’s no need to be go easy. Wrap as much as you’d like and then secure the ends with a number of knots. 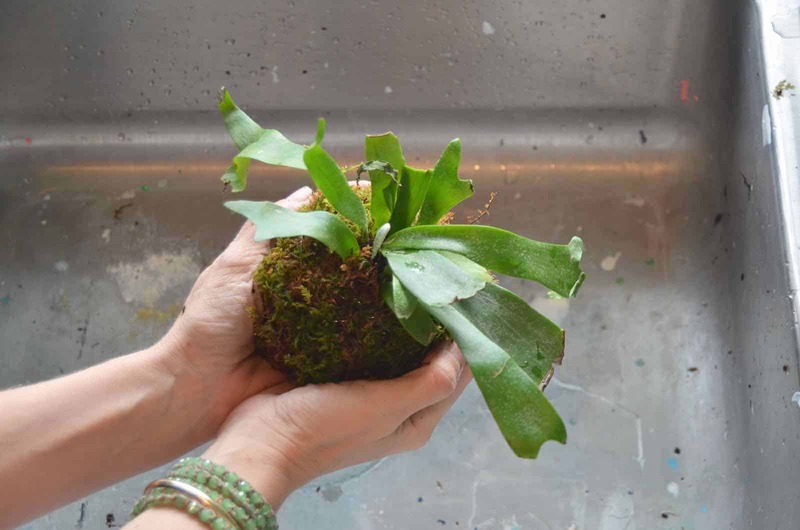 The traditional way to make these is to add peat or clay to help the moss balls not only hold their shape but also retain moisture… I skipped that step and so far so good. These are often seen hung which I LOVE, but I didn’t have any ideal spots for that so gathered in a bowl is where mine live for now. 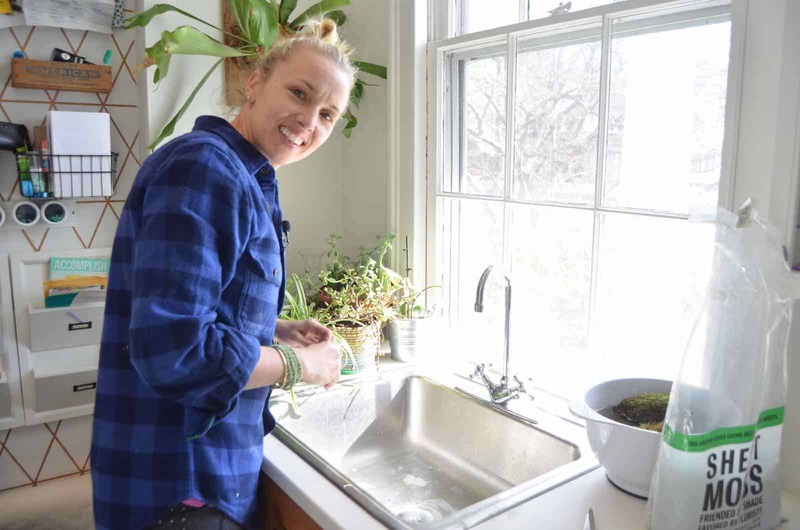 When the weather warms up, they may move out to our back porch, but I haven’t decided yet… would certainly make watering them easier so I’m on the fence! 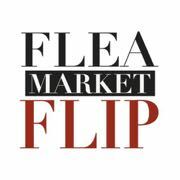 (Affiliate links included for your convenience). What a beutiful way to display plants!💕 I want to tRy this. 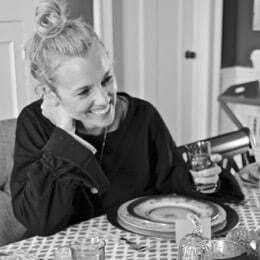 YOu made it look so easy charlotte. I was so mesmerized when I saw them and it’s really easy! I wish I had a place to hang them! 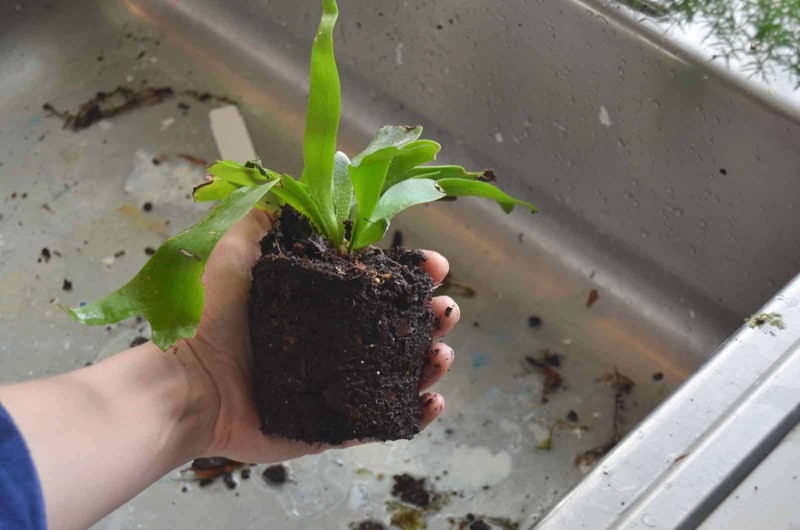 I find that plants that are grown in soil are easier to manipulate and wrap with the moss because they’re not so sandy… but you’re right. Both could work.